Aloe Vera is popularly known for its healing effect; However, if it is treated under optimal conditions can be achieved as aloe vera juice, suitable for consumption and has a wide variety of beneficial properties for the body. Just as the aloe vera plant has some known benefits for skin care, on the other hand the fresh aloe vera juice extracted from the plant offers many benefits for our health. Aloe vera activates and detoxifies the organism, has an antitumor and cellular regenerative effect, endorsed by the Spanish Society of Medical Oncology, it serves to regulate blood pressure and the thyroid gland, reduce blood sugars and cholesterol and fight osteoporosis. It is ideal for people suffering from diseases or health problems such as varicose veins or phlebitis, since it activates the circulation of blood; likewise, it is for those who have diabetes, since it reduces the level of sugar in the blood, and for those who suffer from stomach disorders, since it combats acidity and indigestion. It also prevents hair loss and helps mitigate headaches and headaches. Aloe vera juice can be consumed in different ways, but ideally consume between 25 milliliters twice a day, one fasting in the morning and the other at bedtime. Another way to drink the juice is diluted in natural fruit juices such as pineapple, orange or papaya. You can also put it in a bottle with water and drink it throughout the day to keep your body hydrated. Where can you buy aloe vera juice? 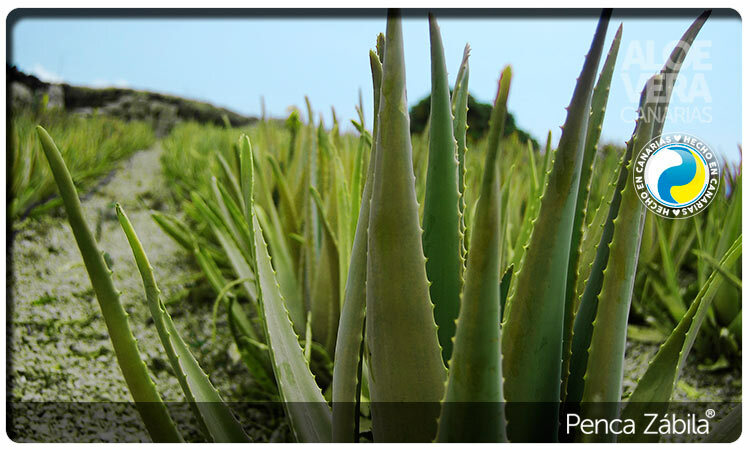 At Penca Zabila we offer you an aloe vera juice with 99.7% purity. The exceptional location of our crops, in the south of the island of Tenerife, with the influence of the Atlantic Ocean, the continuous scourge of trade winds, a unique solar exposure, volcanic substrates and a special microclimate favor the conditions for our aloe plants vera they are of an extraordinary quality and therefore the nutrients and active principles of the plant contain an unusual concentration. This plant is treated in our own processing factory, in which we have the best technologies and undergo thorough laboratory analysis to certify the best quality of the juice under the strict monitoring of our biologist. The quality of our aloe is certified by the scientific analysis carried out by the German laboratory Spectral S. Laboratorium where it is qualified as the best aloe vera in the world. 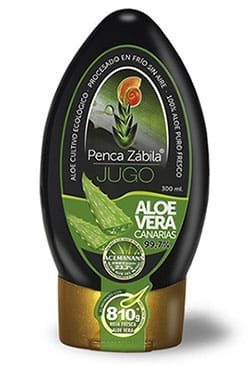 Discover the juice of aloe vera Penca Zabila from the Canary Islands and start enjoying its multiple benefits for your body.